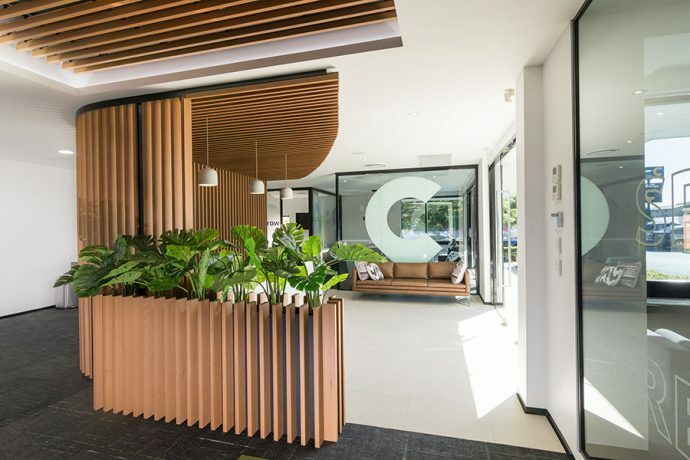 Coronis’ new corporate HQ had to look sleek and professional for any visiting clients and function seamlessly for this busy team. Their design for timber screening in the reception area was already in place. They just needed to find the right product to fit. 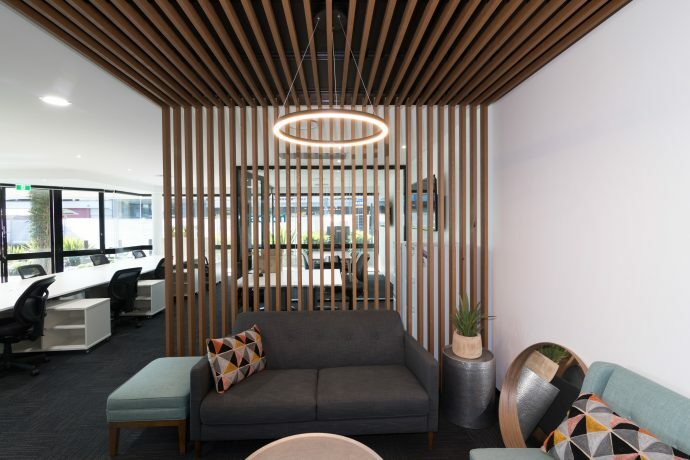 Their choice of bright and light Hemlock in a beachy Coca Sands finish adds a comfortable, natural feel to the office. The off-the-shelf system made installation a breeze and fitted right into their specified design, no alterations needed.